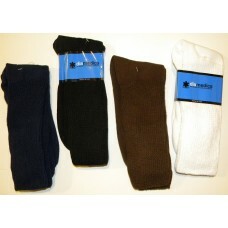 This 100% cotton comfort top sock are one of our most popular socks. 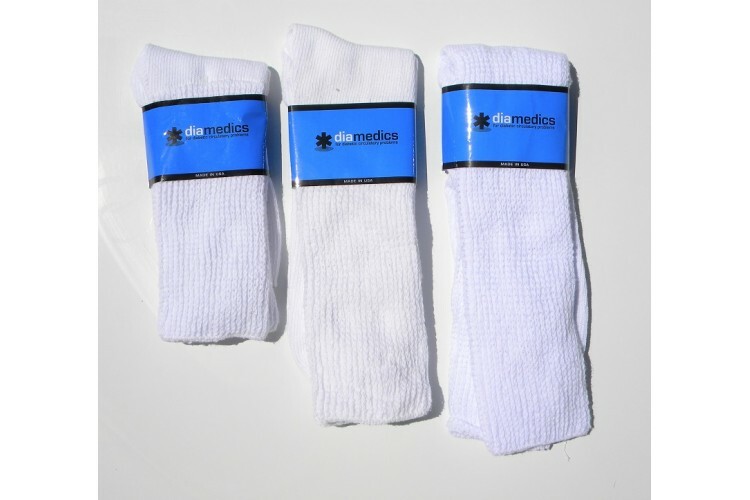 Its not only good for people who suffer from diabetes, but its a great sock for anyone with low circulation and allergies towards nylons and rubber as well as swollen or large calf's. Its easy to tell if you could benefit from this sock. The next time you take your socks off look for track marks on your calfs or ankles, if you see track marks from the elastic on your legs its time to try our 100% cotton socks socks. 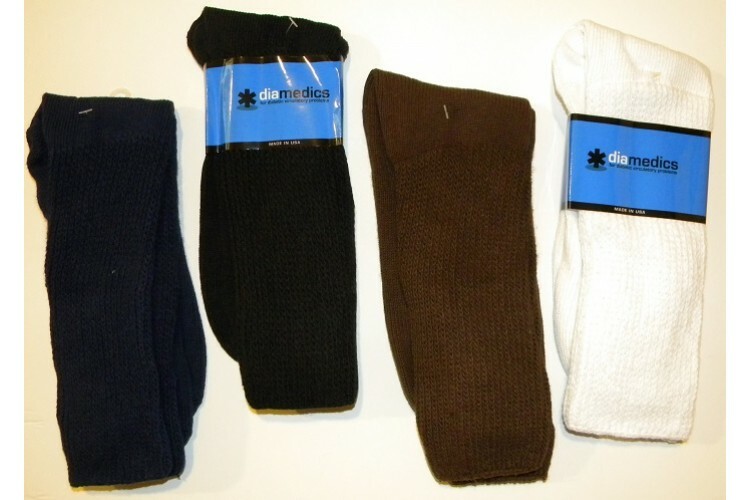 This fabulous socks replaces the elastic band on top with a series of thin elastic strands in the top 6 inch of the sock.